70020, 4S44, Hest Bank, Tues 11 April 2017 - 1736. 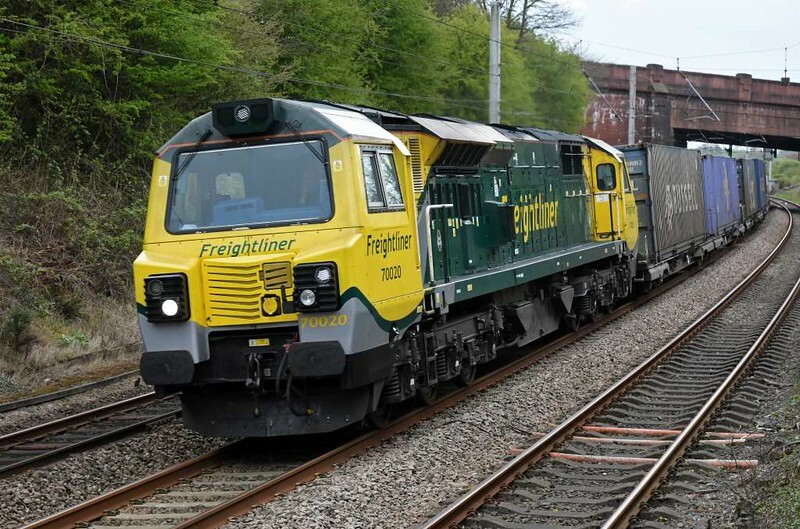 Freightliner's 1213 Daventry - Coatbridge, running two hours late after 70005 had to come off at Basford Hall. The 15 IKA Megafret container twin flats were reported as 6849430655, 6849430689, 6849094154, 6849093834, 6849094790, 6849093875, 6849095821, 6849091127, 6849091267, 6849093842, 6849093974, 8049092133, 6849430788, 6849096019 & 849094147.